Annette Obrestad is a professional poker player from Sandes, Norway. Obrestad gained fame in 2007 when she became the youngest ever World Series of Poker champion just before her 19th birthday. However, due to restrictions in the United States prohibiting people under 21 to play poker, Obrestad's win came on the other side of the pond, in the WSOP Europe Main Event in London, UK. Obrestad was born in 1988. She started playing poker at a very young age and by the time she was 18 she already had the skills and knowledge needed to become a WSOP champion. Not only did she win the 2007 WSOPE Main Event, she also took home £1 million in prize money. Obrestad has a few more first-place finishes on her resume including a win in the A$1,000 Pot-Limit Omaha event at the 2010 Aussie Millions and the 2010 EPT London £5,000 No-Limit Hold'em / Heads-Up event honors. Obrestad started playing poker at the age of 15, hence her online nickname, “Annette_15”. She says to have never made a deposit on an online poker site and generated her initial bankroll from winning freeroll tournaments. The zero investment turned into hundreds of thousands of dollars in Obrestad's online accounts by the year 2006. 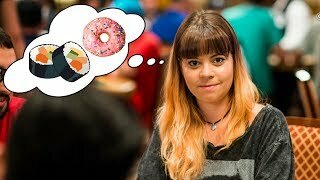 That was also a year when the young Norwegian cashed in her first live tournament, the UltimateBet Aruba Poker Classic $5,000 Championship Event. She finished the tournament in 37th place taking home $12,415. Obrestad's first World Series cash had also been her biggest one yet. In 2007 she entered the WSOP Europe £10,000 Main Event and took it down collecting £1 million in prize money along with the bracelet. At the age of 18 Obrestad became the youngest-ever WSOP champion. Her second-best Word Series achievement came in five years later in Las Vegas. Obrestad made it among the top eight players in the $3,000 No-Limit Hold'em/Pot Limit Omaha / Heads-Up event collecting almost $30,000 in cash. Obrestad has two World Poker Tour championship event cashes to her name both of which she scored in 2010. She first cashed $16,993 in July after finishing 35th in the Bellagio Cup VI $10,000 Main Event and then collected another $32,240 after placing 13th in the Festa Al Lago $10,000 Championship. So far Obrestad's best European Poker Tour result was her runner-up finish in the EPT Dublin €7,700 Main Event in 2007. She lost the final heads-up play to the eventual champion Reuben Peters collecting almost €300,000 in prize money. She also has two more EPT final table finishes on her record. In the same year as she won the WSOP Europe Main Event and finished second in EPT Dublin, Obrestad also made the final table in the €500 No-Limit Hold'em event at the EPT Grand Final in Monte Carlo. She finished the tournament in fifth place for €15,830. A year later, in 2008 Obrestad final tabled the €2,000 No-Limit Hold'em event at the EPT Dortmund and collected €6,500 in cash after finishing in eighth place. In January, 2010 Obrestad won the A$1,000 Pot-Limit Omaha event at the Aussie Millions for A$40,000. She had also final tabled the A$10,000 Main Event that year eventually finishing in seventh place and taking home A$175,000. Later that year Obrestad won the Episode 8 of The Poker Lounge in Cardiff collecting $120,000 in cash. Then in 2011 she finished second in the Wynn Classic $5,000 Main Event for $215,922. A year later Obrestad won another event finishing first in the $1,000 No-Limit Hold'em tournament at the 2012 Wynn Classic for $18,204. 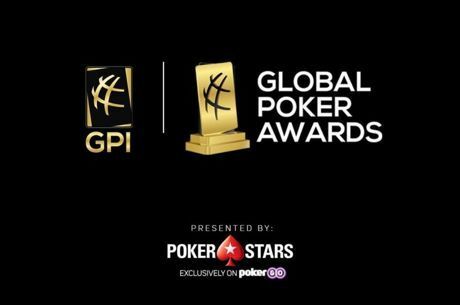 Obrestad had previously represented such well-known online poker sites as Betfair Poker and Full Tilt Poker while she's currently a member of Lock Poker's Lock Pro Elite. Obrestad is dating another famous poker player, Scott Montgomery. With almost $4 million in lifetime tournament winnings, Obrestad ranks fourth in the women's all-time money list.